Tips for Buying Great Wine! One of the comments I hear most, is that it can be daunting going into your nearest Liquor Store or Wine Boutique and buying a bottle of wine. So I have decided to dedicate this week’s blog on helping you buy wine. Here are some tips you may find helpful. 1. First of all – get to know your staff at your favorite Liquor Store, and find out who the Retail Product Specialist. One of the best Liquor Stores here in the Halifax area is the NSLC Store on Larry Uteck Boulevard. It has a great selection, but it’s the staff that make the store. Manager Rick Martell and Retail Product Specialist Sue Slaunwhite are some of the best in the business. It’s not daunting when the staff can greet you by name, and after a couple of visits, have an idea of what you like. Even if you don’t know them, ask. It’s what they do for a living, and in most cases love to help you. 2. When buying for someone else, find out if they are red or white wine drinkers, and even if you know nothing about wine, ask the Retail Product Specialist in your local store. They have been trained in wine and have sampled a lot of the product on the shelves. They also have great knowledge in food pairing. 3. Have a couple of ‘Go-To’ Favorite wines. This will take any pressure off when you are in a Restaurant and are expected to order the wine. Even if the Restaurant does not carry any of your ‘Go-to’ favorites, chances are they will have something from the same Country, featuring the same grape. If you like a big bold Shiraz from Australia, most restaurants will carry a Shiraz from Australia. The same applies to your favorite white wines. 4. Be Adventurous! For a long time I was in a ‘wine rut’. I would buy the same wines over and over. Then I moved. And the province I was living in didn’t carry my old favorites. It forced me to discover new wines. And the greatest part of that is I discovered a whole new world of wine. I got to know Sue at my local NSLC who has similar tastes to mine, and she started giving me recommendations. Now, I never go more than a week without discovering a new wine. 5. Try before you buy! Most Liquor stores across Canada now offer taste stations, and to me this is the greatest idea since sliced bread. They offer selections in both red and white wine, and in varying price ranges. I have found some spectacular wines this way. Thanks for reading, and till next week, Cheers. I give wine as gifts quite frequently and I am always looking for ways to personalise the gifts. Sometimes a bottle of wine in a plain wine bag just doesn’t cut it. I recently came across a great website with great gift ideas. I found this website called WineGifts4U and thought it was a brilliant idea to give Personalised Port wines as gifts. Think about it. Birthday gifts, wedding gifts, Christmas gifts, Anniversaries – any occasion. A great way to personalise a bottle of wine for your friends and family. This company allows you to choose from an engraved wine, you can design your own wine label or use one of the personalised wine gift labels to put your own information on. Above is a bottle of port with a pewter plaque. And you can engrave a special message on the plaque for a special occasion on this reserve Port. And it’s not just for Port Wines. You can customize your bottle of wine, vodka, champagne or spirits. All of which can be customized with this classic pewter label. You could even put your logo on the bottle. How’s that for a unique gift. Port wine, also known as Vinho do Porto, is a fortified sweet wine that originated in Portugal, and is often served as a dessert wine. It comes in dry, semi dry and white varieties and there are several styles of port, including probably the most well known, and that is tawny port – aged in oak barrels and ruby port, which is the least expensive of the ports and therefore the one that is produced the most. Fortified wines in the style of port are also produced outside Portugal, most notably in Australia, South Africa, Canada, India, Argentina and the United States. The very different varieties and styles of port make it a very interesting gift. The Port wine tends to be the subject of many conversations. Imagine a personalised port wine – guaranteed to be the subject of conversation at someone’s table. One of the things I liked about this site was that if I wanted to create an original gift, there is software on the site which allows me to upload a photo and attach it to a blank label. 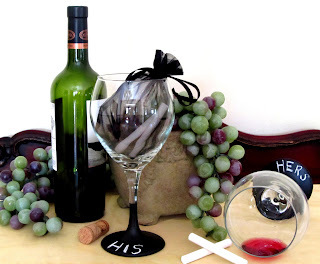 WineGifts4U allows you to then pick the Port wine right on the site and they deliver as well. Choose from ruby port, special reserve port and LBV port to customise. This is a company that offers free delivery in the United Kingdom. OK Canadian Entrepreneurs, here’s a great idea for a business here in this country. Wines To Keep You Warm This Winter! Mother Nature sure has been having fun this year. A long cold snap, and when it does warm up, we get snow…. and lots of it. I think it has been the same for most of Canada. So, here are some new wines I have tried lately to keep those cold nights at bay. And keep reading for a great recipe of Honey Roasted Potatoes. How’s that for comfort food. My friend Sue at the NSLC hit it out of the ball park this week, when she asked me to try the new Rhiannon Red Wine from Rutherford Ranch in the Napa Valley of California. The 2010 vintage is a blend of Syrah, Zinfandel and Barbera. At just under $21, this is my new favorite wine. 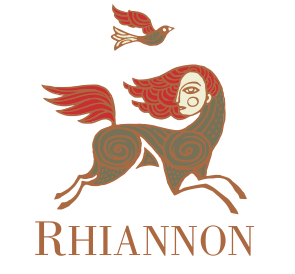 The Goddess Rhiannon is a Welsh Lunar Goddess who’s name means ‘Great Queen’ or ‘Divine’. It is the perfect name for this divine wine. My first taste, I was thinking ‘medium bodied, fruity, flavours of cherries with a hint of vanilla….And then the explosion of taste happened, where the wine lingered to a magnificent finish. Low acidity and moderate tannins made for a divinely smooth wine. Robert Parker called the Rutherford Ranch wines the best value in Napa Valley. Run, don’t walk, to your closest Liquor Store and get a bottle of this wine. Another spectacular wine I tried this week was the Rolf Binder Halcyon 2008 Cabarnet Sauvignon from the Barossa Valley in Australia. This wine was a gift from friends and what a great gift it was. A super smooth wine that combined flavours of blueberries, chocolate, herbs, spices and a nice long opulent finish. I had this wine with grilled pork and it was a perfect combination. I also teamed that with Honey Roasted potatoes – talk about comfort food. I have had many requests for this simple recipe, so here it is. Pre-heat your oven to 375 degrees. Spray a baking dish with non-stick cooking spray. Place potatoes in a single layer in the dish and top with the diced onion. In a small bowl, combine melted better, honey, mustard, salt and pepper. Drizzle over potatoes and onion. Bake for 35 or 40 minutes until tender, stirring halfway through cooking time. Have a great week, stay warm and enjoy the food and wine.